Remember how they looked when they were new? Richmond Hill Grout Cleaning, TCrown Cleaning & Restoration can bring your tiles and stone surfaces back to their pristine condition with tiles that sparkle. Our professional tile cleaners scrub away even the deepest grime and stains, using effective methods on hard-to-clean surfaces in bathrooms, kitchens and patios. With our state-of-the-art equipment, we can also handle industrial and commercial floors and kitchens. 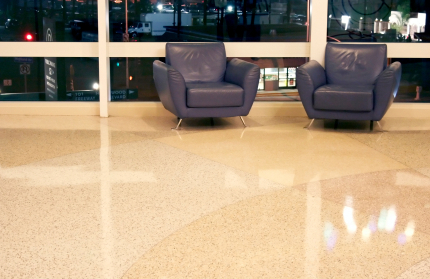 Seal and finish your tiles with grouting solution to maintain traction and prevent slips and falls Refinish concrete areas and cracks to maintain a pristine and uniform look and feel. At Richmond Hill Grout Cleaning we know that ceramic is probably the most popular and commonly used type of flooring for kitchens and bathrooms. Why? Because it doesn’t easily absorb dirt and water unlike any other types of flooring’s. But on the downside, it can be quite a challenge to keep it clean, particularly the grout lines. Regular cleaning can make the tile surface of your floors look like new, but the chances of the same happening to the grout is quite slim. Why? Because the tiny pores in the grout can allow dirt, debris and other contaminants to become caught beneath the surface, where it can’t be removed by regular sweeping or mopping. If not attended, these surfaces can be a breeding ground for molds and mildew which overtime can be detrimental to your family’s health. A grout is typically a thin plaster used to fill cracks and crevices in masonry, or for finishing ceilings and walls. For ceramic tiles, grout lines are the hardest part to keep clean and unsullied; and if not given proper care and maintenance, these grouts can begin to disintegrate causing damage to your flooring. To prevent this from occurring, it’s advisable to have a thorough tile grout cleaning by the experts of Richmond Hill Tile and Grout Cleaning every once in a while. We have to admit that tile grout cleaning can be a very tedious job. Most likely, your next best step in prolonging the life of your floor and making sure that your tile grouts are well taken cared of is to hire Richmond Hill Grout Cleaning that will do the job for you. If you are planning to buy or build your dream home, you might be spending a lot in buying the matching tiles and bathroom or kitchen accessories. Unlike in the past, today vitrified tiles and marbles are used extensively in all homes and these tiles and marble flooring are used for beautification on one hand and on the other hand, for convenience. 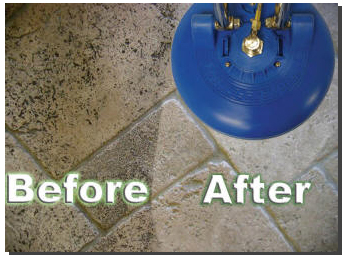 Now you know that Richmond Hill Grout Cleaning is your local stone restoration company! But then the problem is that with use, the grout or tiles may attract dirt, soil, grime, and oil. If you are in Richmond Hill and want a solution for tile cleaning in Richmond Hill,Ontario, then you just have to pick up the phone and call us for cleaning the tiles. We, from Tile Cleaning Richmond Hill, shall send the talented Richmond Hill Grout cleaners over to your home or business to clean the tiles. You can also review us on FACEBOOK AND YELLOW PAGES. We, from Tile Cleaning Richmond Hill, are a certified and recognized company dealing with tile and grout cleaning Richmond Hill-based. It is a real fact that to keep the house or the bathroom clean, you would need to scrub the tiles or use solvents to clean the tiles. If tiles are in the bathroom, and they are not cleaned regularly, then they may become slippery and might even cause accidents due to slipping on it. So, regular cleaning of bathroom tiles or kitchen tiles or even the grout near the swimming pool is more than an option. 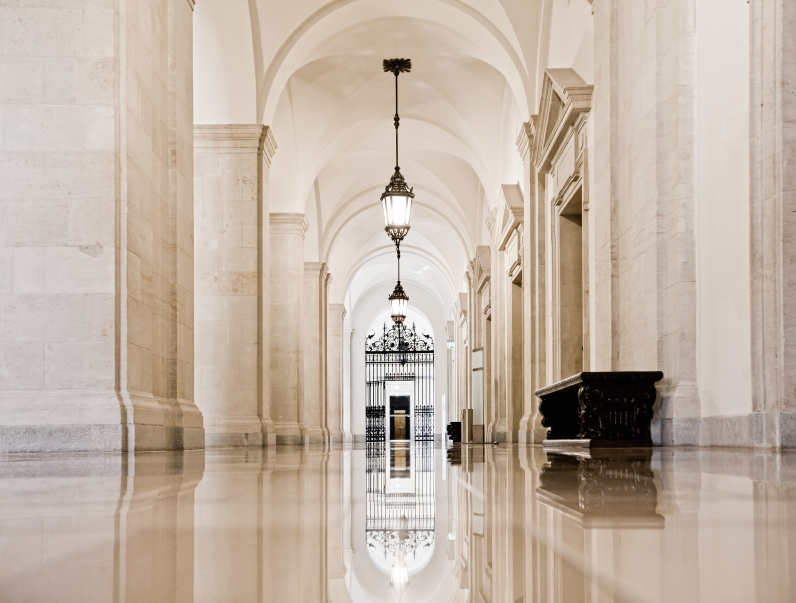 Call us at 647-801-8090 and get to hire our expert services of marble cleaning Richmond Hill at any time of the year. You shall get attractive deals on getting our first service for your tiles and kitchen grout. We shall offer the bathroom Richmond Hill Grout Cleaning on call or package basis. Our rates are quite reasonable and in spite of the fact that we do not compromise on quality. Our services are licensed and patented. We, from Richmond Hill Grout Cleaning, are known for disinfecting tiles and kitchen tops and ensure that hygiene exists everywhere in homes and offices. Whether it is kitchen counter top or bathroom, or in your office restroom, if you do not clean them, they may breed germs, and bacteria, not to forget roaches and bugs. This is why cleaning tiles and grouts are as essential and not just for the fact that they look pretty when clean. Call us and we shall come over for kitchen counter top cleaning Richmond Hill and that too at all times of the day. We shall also offer to clean the deepest pores from in-between the grouts and tiles by vacuum and with high-speed rinsing method. These are the modern and most commonly used flooring material, and therefore, we feel that to ensure that your homes remain clean we expand our expertise in cleaning all of these. Our TCrown team works constantly to develop newer methods to clean the floors and walls and have them sealed later with protective gel so that the freshness lasts longer and for many days to come. Richmond Hill Tile Cleaning, have found fame thanks to our unswerving work and our understanding of urgency. We reach out to everyone in need and so on arriving at your home, our skilled Richmond Hill tile and grout cleaners would check and look around the areas where their service might be very necessary. If you have any questions to ask or need time to think over, then you are free to do so. The work would begin with our cleaners using highly effective cleaning solutions that are processed and produced in our labs. These solvents, from Richmond Hill Grout Cleaning, would be spread sparingly across the walls and floors so that even the hardest grime breaks down or comes off loose. Do not worry about these solvents, for these solvents, Richmond Hill Tile Cleaning are totally environment-friendly. This means that these solvents won’t give off any harmful fumes even with your children or elders around or even with pets around. Now that these dirt and grime gets broken down, they are vacuumed out and then begins our cleaners’ hard work of getting on their hands and knees to scrub the soil and dirt from the floors. This work is so hard and time-consuming for all of us, but for our cleaners who work at Richmond Hill Tile Cleaning, it is just another day at work. The process of cleaning gets thorough when our cleaners from Richmond Hill Grout Cleaning apply the sealant to protect the beauty and texture of the tiles and keep them good looking for days to come. Today, whether it is marble cleaning Richmond Hill or terrazana tile cleaning Richmond Hill, we are the first names to come to your mind. Richmond Hill Grout Cleaning is here to offer the best so they are willing to do what it takes to provide the best. Call TCROWN Carpet Cleaning today 647-801-8090 and you won’t be disappointed.